<ins>, <del> & <s> - These tags are useful when you are using dealing with content that has been changed or whose relevance has been updated. Where, <ins> tag defines text that has been newly added to a document, <del> tag defines text that has been removed from the document and <s> tag is best used for when content has been removed and then updated similar to <strick> tag. <q> & <blockquote> - Both of these tags are meant to be used for external quotations, but their usage are little bit differ. <q> tag used to define a short inline quotation of text. On the other hand, <blockquote> tag used for large spans of text. <mark> - It used for highlighting content. Like run a text as marked for reference purpose, due to its relevance in a particular context. <optgroup> - This is one of the oldest tag. But, it’s still overlooked by developers. <optgroup> used within the <select> tag to supports various categories of <option> elements. <header>, <footer> & <nav> - HTML5 were created to help us better explain the semantic structure. 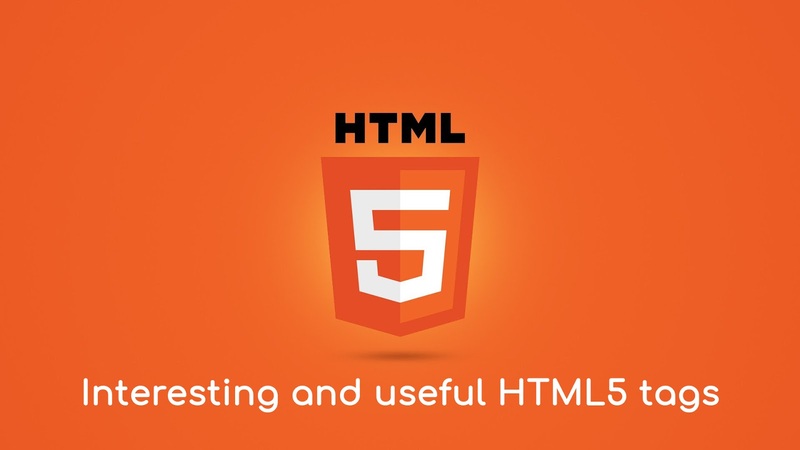 HTML5 tags like <header>, <nav> and <footer> can be used to replace the id and class with <div> to provide semantic structure to content. <figure> & <figcaption> -Both tags used with images in text content, but it can be anything. <figure> is a container for content like images, and <figcaption> provides a caption or subtitle for the contents of the <figure> tag. <progress> & <meter> - Both are similar but have different semantic meanings. <progress> use for a task or to measure how complete something is, the scenario. Where, <meter> tag is for gauges and measurements of value like thermometers, quantity used, etc.